International raiders Thomas Hobson (left) and Max Dynamite are not travelling to Australia this spring. LATROBE'S Melbourne Cup hopes remain uncertain as fellow Irish stars Flag Of Honour, Kew Gardens, Max Dynamite and Thomas Hobson have all been ruled out of the spring. The absence of St Leger winners Flag Of Honour and Kew Gardens, dual Cup placegetter Max Dynamite and Thomas Hobson will significantly impact markets, as well the confirmation that German-trained Torcedor is also out of the Cup. There is lingering uncertainty of gun colt Latrobe, who is raced by the Melbourne Cup's most successful owner, Lloyd Williams. 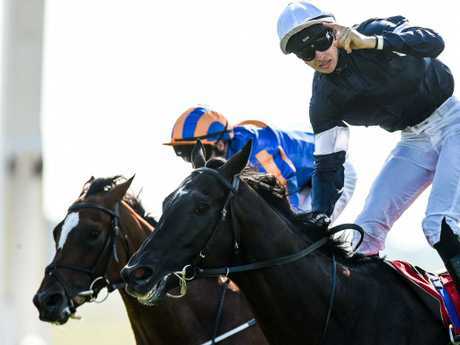 Winner of the Irish Derby, Latrobe is assured of a place in quarantine but he is unlikely to head to Australia unless travel companion Master Of Reality gets on the flight. With the final eight places at the Werribee quarantine centre to be allocated on ratings, Master Of Reality is at the bottom of the list. He would join the flight only if a higher-ranked horse is withdrawn. Latrobe is trained by Joseph O'Brien, who last year created Cup history with Rekindling - also owned by Williams. A separate shipment of more than 20 horses will arrive at Werribee on Saturday to join Charlie Appleby's Blair House, Folkswood and Jungle Cat. The remaining eight arrive on October 13 to start their two-week quarantine period and would be eligible to run on Cox Plate day (October 27). The influx means the total number of horses to head through quarantine at Werribee will hit a record 40 by the end of the spring, with the departure of several early arrivals to Australian stables. Magic Circle is the highest-rated horse scheduled to arrive in the final batch. He will be accompanied by Ebor Handicap winner Muntahaa and last year's Cup favourite Marmelo. 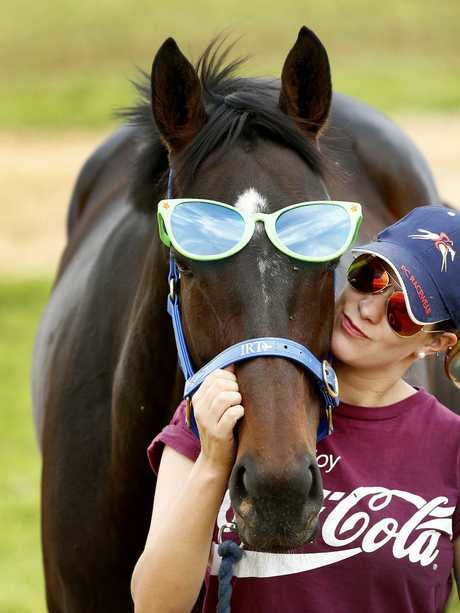 Cool cat Max Dynamite was a popular Cup runner with his two placings. Aidan O'Brien has four horses due to land in Melbourne on Saturday - Cliffs Of Moher, Fleet Review, Yucatan and Intelligence Cross. The Ballydoyle maestro has also sent Cox Plate contender Rostropovich and Melbourne Cup entrants Idaho and The Pentagon into quarantine in Ireland, destined for the third wave. 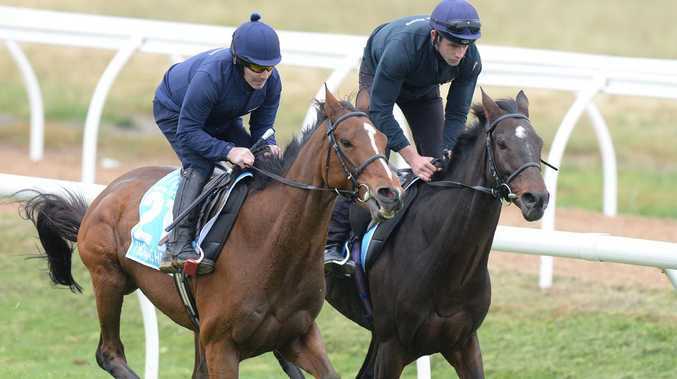 Scotland's Nakeeta, a fast-finishing fifth in last year's Melbourne Cup, is also booked to return on October 13. High-class stayer Torcedor, who was assigned 57kg for the Melbourne Cup, was withdrawn on ets' advice after recording a high temperature.